We are big breakfast people here at the Page house; and the easier the breakfast item is to make, the better. Bonus points if it's a recipe that can double up as a freezer breakfast. 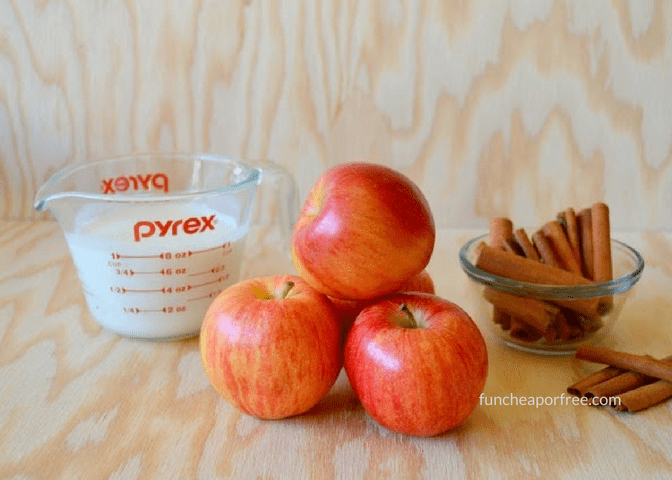 Recently I came across this amazing apple ring pancake recipe on Pinterest that is super easy to make, can easily be stored in the freezer, and is absolutely delicious?! This pancake recipe is seriously the perfect combination of pancake batter and apples. Plus, the main focal point of this recipe is fruit. Making it extra easy for you to make your kids to have a healthier start to their day. You can easily make it in the morning before your kids get up for school. 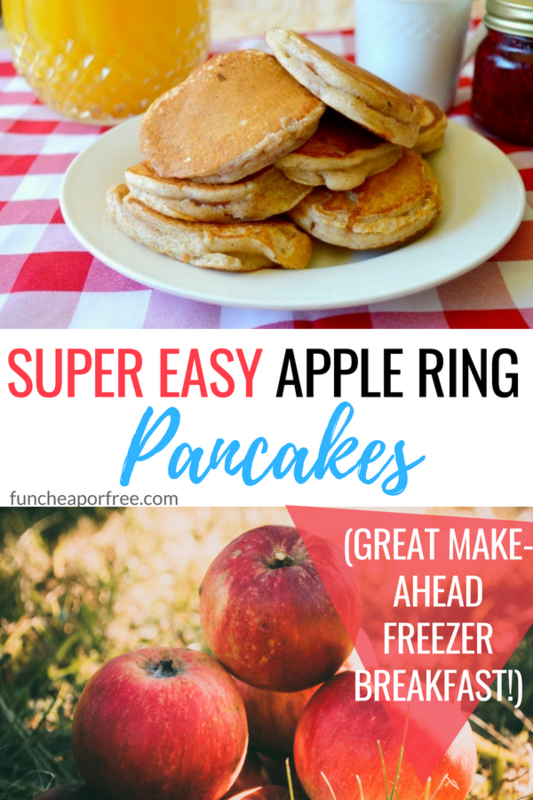 However, if your mornings are anything like mine, then I would suggest making these apple ring pancakes a few days before hand and then store them in the freezer. That way, when your kids wake up for school, all you have to do is pull your pre-made pancakes out of the freezer and nuke them in the microwave. Super easy! Now that we got that out of the way, let's get down to business! This pancake recipe is so easy you won't believe it! Plus it has a few surprise ingredients too that I think you'll love! In a medium bowl, whisk together the remaining sugar and cinnamon with the baking powder, baking soda, flour, and salt. In another bowl whisk together the remaining ingredients. Add the flour mixture and whisk into a slightly lumpy batter. Cook the pancakes until golden brown on each side, about 5 minutes per side. Cook the remaining apple slices, adding butter to the pan as needed. Serve immediately with my Nana's buttermilk syrup or store in the freezer for another time. That's it! Want your own tangible copy of this recipe? Then click HERE for the FREE PRINTABLE version! 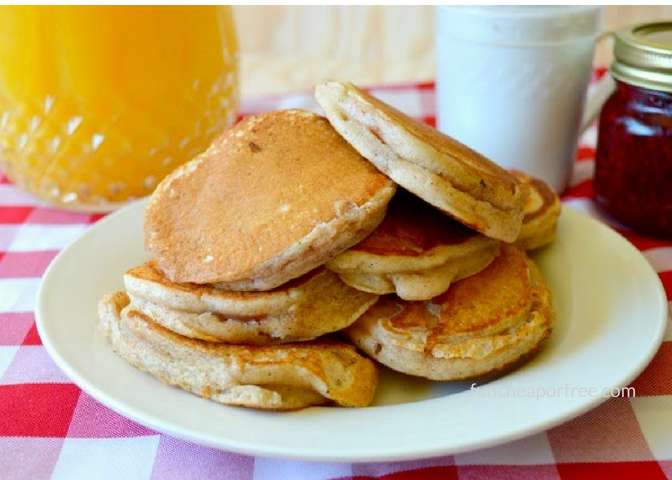 As soon as you make and serve these for your kids, I can guarantee that this pancake recipe will become a breakfast staple in your own homes. 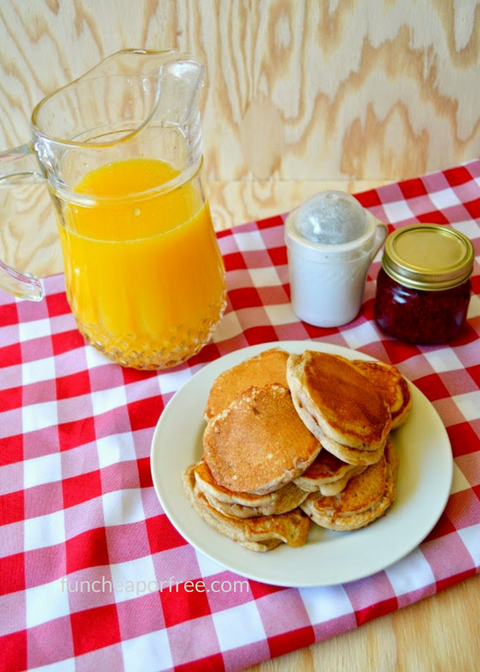 Do you have a breakfast recipe that your kids absolutely love? If so, please share below, because I'd love to know! Also, before I go…have you seen some of my other recipe posts? If not, here's a few of my favorites that fall right in line with my upcoming #shelftember challenge that will be starting on SEPTEMBER 1st! I did this same thing last year, and you can check it out HERE. You Freebs are going to love all the amazingness I have in store for you with this year's #shelftember challenge, so make sure to stop by next Monday! Enjoy! Sounds yummy!! Would these turn out if using apples that are getting soft or do they need to be fresh and crisp? Why do your pancakes not have holes in the middle? Did you add more batter to the center? Eating these right now and wondering where they have been my whole life. Oh my! Those look FANTASTIC! I am definitely giving them a try, I think they will really be a hit with the littles. Thanks for sharing!